Color.Adobe.com: Create color schemes with the color wheel or browse thousands of color combinations from the community. FontsInUse.com: An independent archive of typography where you can see different fonts paired together and find the perfect font. The Free Fonts That Come With Canva.com Image Design Software. 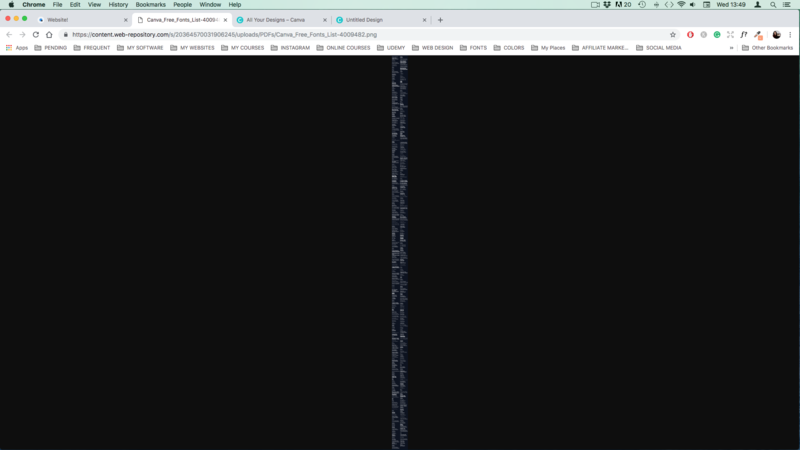 As the Canva Font menu is out of focus and not all the fonts are represented the way they will look when you use them I have created a .png image of the list with each font typed out in its font style. Click once inside the text to zoom in on it. Once zoomed in you will be able to scroll through all the fonts and see what they look like. Don't forget to save the image to your computer so that you have it any time you decide to use Canva. As Canva have discontinued their guides feature, I have created a .png image that you can use in place of the guidelines to help you keep any important information on your book cover from falling outside the trim area of your Createspace template, as well as marking the exact position of your book's spine.